Computer Arts June 2012 | Free eBooks Download - EBOOKEE! Posted on 2013-06-05, by nobihai. 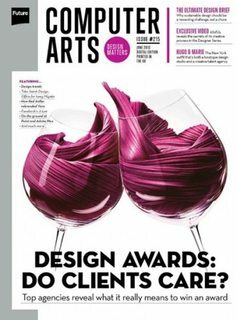 Computer Arts is the leading magazine for designers, illustrators and creative professionals. Every month in the magazine you’ll find a plethora of inspiration, creative software skills and industry advice, all aimed at making you a better – and more successful – designer. Our Output section brings you the world’s best design work, and our new section, The design manual, is your essential desk companion – a collection of advice, tips and opinion that will help you complete your real-world, daily design challenges in double-quick time. No comments for "Computer Arts June 2012".